﻿ Měření datových telekomunikačních sítí | H TEST a.s.
Ixia provides application performance and security resilience solutions to validate, secure, and optimize businesses' physical and virtual networks. Enterprises, service providers, network equipment manufacturers, and governments worldwide rely on Ixia's solutions to deploy new technologies and achieve efficient, secure, ongoing operation of their networks. Ixia's powerful and versatile solutions, expert global support, and professional services equip organizations to exceed customer expectations and achieve better business outcomes. Learn more at www.ixiacom.com. 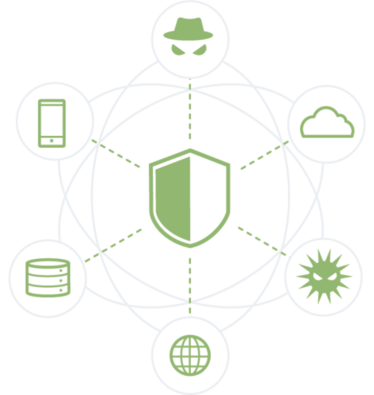 ThreatARMOR™ establishes a new front line of defense in your network, removing threats from your network and improving your security ROI by eliminating unwanted traffic before it hits your existing security infrastructure. A single ThreatARMOR security appliance can be deployed on both the inside and outside of your perimeter, identifying infected internal systems and blocking communication with Botnet controllers while reducing inbound firewall load from known bad sites and countries you don’t do business with. Even encrypted connections from those sites are automatically banned. More information you can find here. Ixia BreakingPoint enables you to simulate real-world user traffic, at line rate, to determine how a device will perform when it goes live into production. It acts both as a client and a server, sending good, clean traffic along with security strikes to the target, and performing critical measurements for round trip time, latency, and throughput. You can methodically run the exact same tests on individual vendor hardware in a side-by-side “bake-off” scenario. Ixia’s Application and Threat Intelligence (ATI) service enables a simple way to create test flows of the same malicious and recreational traffic your network must withstand. It provides updates every 2 weeks, ensuring delivery of the industry's most up-to-date application and threat intelligence. It includes 240+ stateful application protocols, 6,000+ real-world attacks, and 35,000+ live malware samples found in enterprise, core, and mobile networks. 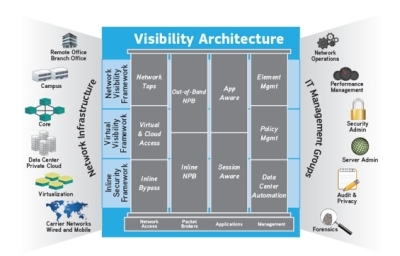 The Ixia Visibility Architecture is built on the industry’s most comprehensive network visibility product portfolio. This portfolio, serving as the foundation of the Visibility Architecture, includes network access solutions, network packet brokers, application and session visibility solutions, and an integrated management platform. The portfolio provides enterprises and service providers with a single integrated resource to address all of their visibility needs. Ixia is the only company that offers this comprehensive and fully integrated Visibility Architecture, enabling end-to-end visibility across the entire network that includes mixed physical and virtual network environments. In addition, this architecture supports both passive monitoring and fail-safe inline security deployments. Ixia’s test solutions enable you to test and validate the scale and performance of networks, devices, and services – whether you’re an enterprise, service provider, or equipment manufacturer. 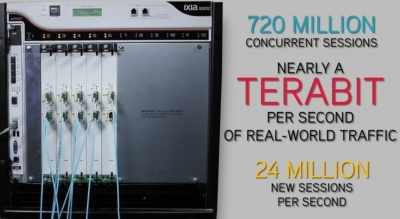 Ixia’s customers benefit from faster time-to-market, optimized performance, and higher-quality deployments that allow their networks to deliver quality applications and services. From the lab, to the network, to the cloud, Ixia test solutions provide you an end-to-end approach for organizations to validate prior to deployment, and assess the performance of network and data centers after upgrades or changes. Our goal is to enhance networks service delivery by providing comprehensive and easy-to-use test solutions that drive your business forward.